The main man who brought you the “Boron” is back? 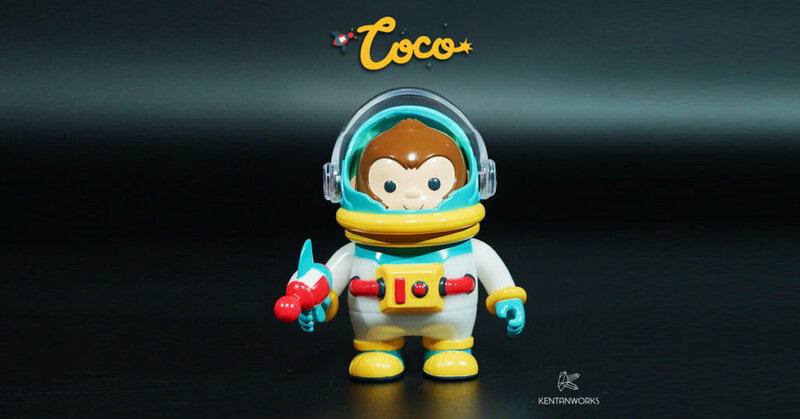 it seems like forever Kendy Tan released his own platform and boy what a comeback as Kendy presents to you “Coco The Astrochimp”. We are super happy Kendy is back and flying the flag of Indonesia ( WE NEED to showcase MORE Indonesia based artists to show their skills) It’s nearly time to join Coco on his epic adventure. could investigate the biological effects of space travel. Coco is the youngest offspring from Ham and Minnie. Both are one of the earliest primates ever launch to space. Stay in contact with Kendy via https://www.instagram.com/kentanworks/ and Facebook.